I’ve recently acquired a badge maker. Squeeeeeeeeeee. I was playing with it last night and made some badges, HOORAY! So obviously I’ve put them on my Etsy shop. 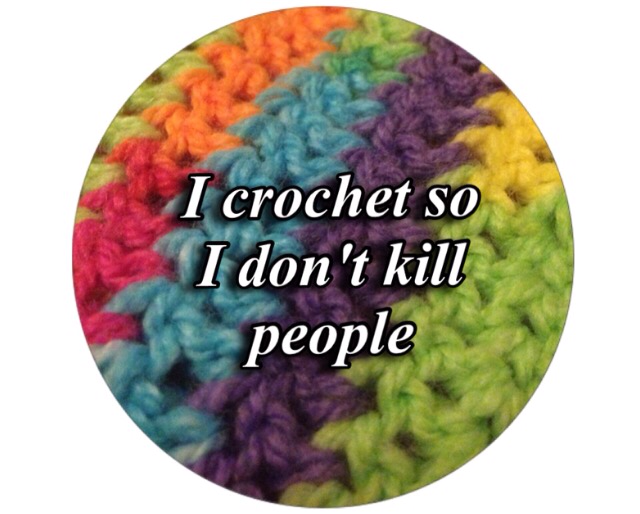 I’ve recently (re)learnt crochet, and it’s been great. So that’s kind of the inspirado behind it. Crochet is supposed to be a stress relief, not initially obviously but once you’ve cracked it, definitely! So please have a look on my shop, share, buy, tell your friends. All that stuff. Cheers!